At the premier national event (The Forum) this week in Washington, DC where America’s workforce community gathers annually, SBE Council president & CEO Karen Kerrigan spoke about the challenges and opportunities that small businesses face given tight labor market conditions on top of disruptive forces that are impacting the marketplace. The Forum is hosted by the National Association of Workforce Boards (NAWB). The discussion touched upon policy solutions and innovative approaches that small businesses are employing to address the skills gap and labor shortage. 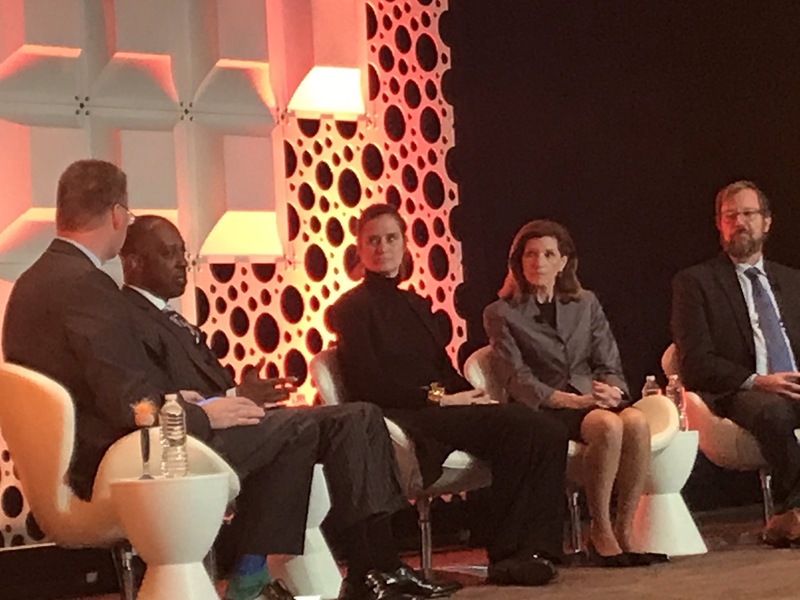 As Kerrigan explained to the more than 1,500 attendees at the conference, small businesses across industries are not taking advantage of expansion and growth opportunities due to the labor shortage, so this is a critical issue that cries out for innovative solutions from all stakeholders. When small businesses are not growing, the economy is not growing. There are more than 7 million job openings in the U.S., and while more people are coming “off the sidelines” to work, more progress needs to be made on improving the labor participation rate and increasing the number of innovative programs to train or upskill America’s workforce. ● Create a toolkit on how entrepreneurs and small businesses can work with workforce boards on hiring challenges. ● Explore with the 550 workforce boards (through surveying, etc.) about how engagement can be improved with entrepreneurs. ● Creation of a task force that includes small business leaders and workforce leaders for regular dialogue. In the near future, we will be posting a video of the discussion that took place during Kerrigan’s session, which covered a range of topics about the “the future of work” and compelling ideas for solving key challenges. In the spirit of helping small business owners and entrepreneurs better compete for workplace talent, SBE Council president & CEO Karen Kerrigan focused on this area in this week’s Small Business Accelerator. There are many advantages to being “small,” and very doable ideas are highlighted for recruiting and retaining the employees small businesses need to compete and grow. Of course, the roundup of tips and trends also includes solid content and resources related to marketing and branding, starting a business, and key trends worth watching in the marketplace.